F80 - Flat Kabuki™ (15.8 cm): Application of liquid or cream products to flat areas of the face such as the forehead and cheeks. 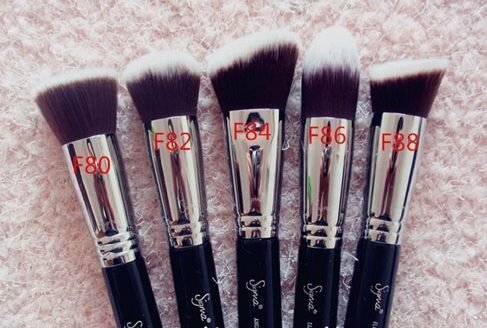 F82 - Round Kabuki™(15.7 cm): Blend mineral products onto the skin. F84 - Angled Kabuki™ (16.2 cm): Buff cream blush or bronzer onto the skin. 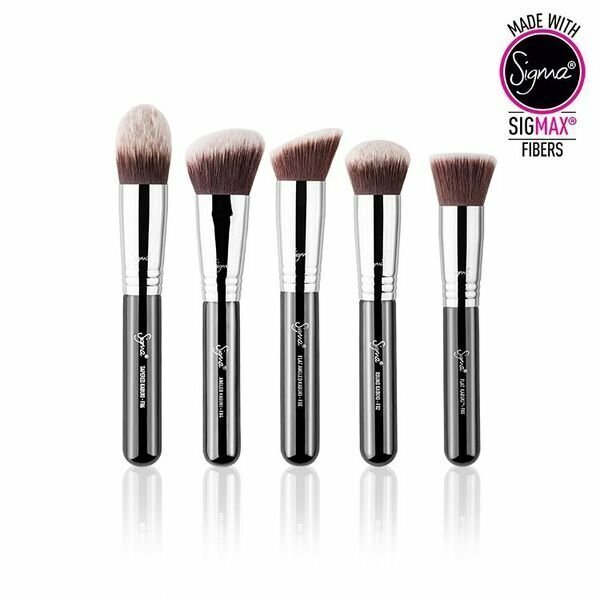 F86 - Tapered Kabuki™(17.3 cm): Apply cream and liquid foundations onto the harder to reach contours of the face. 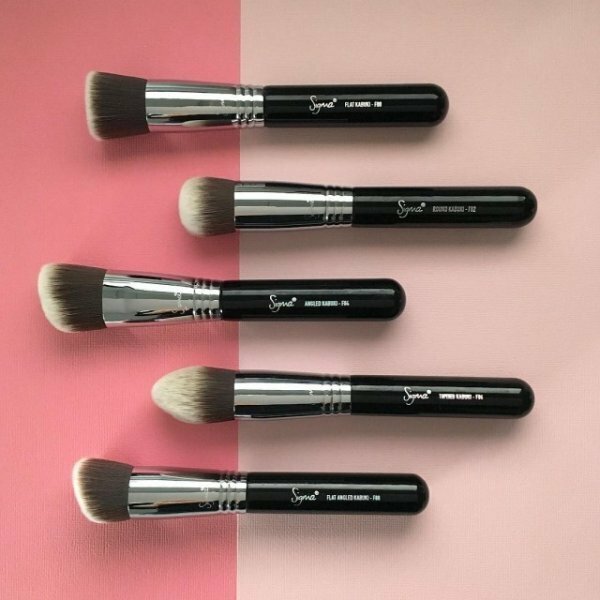 F88 - Flat Angled Kabuki™ (16.2 cm): Blends foundation easily onto hard to reach areas of the face. 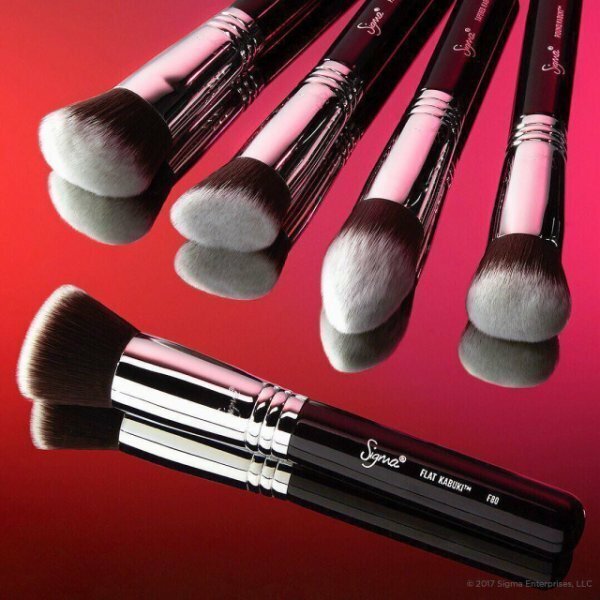 Angle fits all areas of the face seamlessly. Works especially well on cheekbones and contours of the nose.